Abstract: The majority of os acromiale is asymptomatic and requires no treatment. In patients with shoulder pain, os acromiale is a possibility in the differential diagnosis and may imitate shoulder impingement. The diagnosis of symptomatic os acromiale can be proven by combining physical examination, conventional radiographs, magnetic resonance imaging, and selective injections. Surgical treatment is indicated in those patients with failed conservative therapy, in those with highly painful and unstable os acromiale, or in those with associated shoulder pathologies such as rotator cuff tears. Open or arthroscopic excision is indicated in patients with pre-type os acromiale. 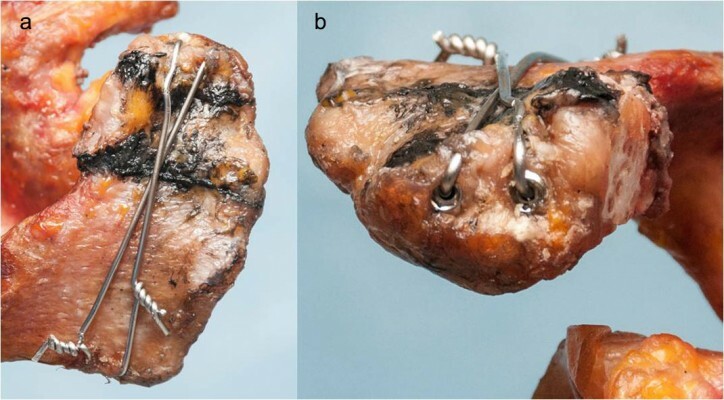 In meso-type acromiale, arthroscopic excision, acromioplasty, or open reduction and internal fixation have all been used, but fixation is usually preferred. Internal fixation should be done either with cannulated screws alone or in combination with tension band, which has biomechanical advantages.